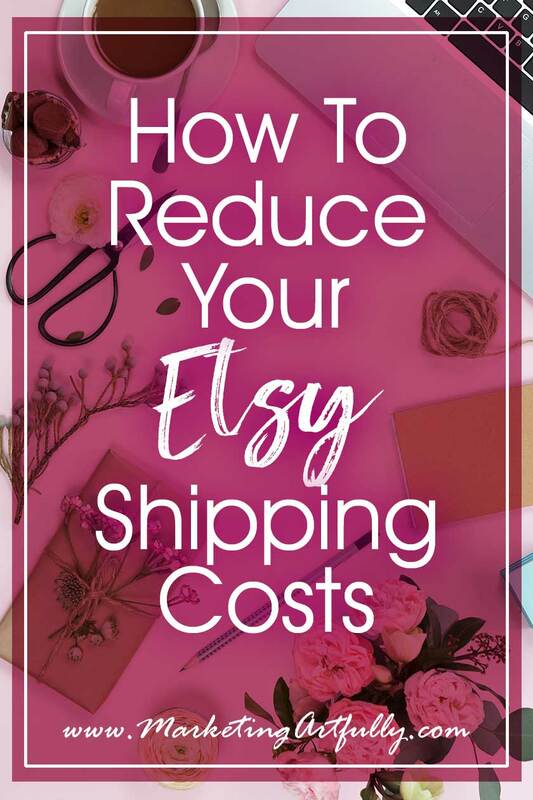 Calculating shipping costs as a part of your Etsy business could lead to better profits or a barren store with few viewers and even fewer sales. 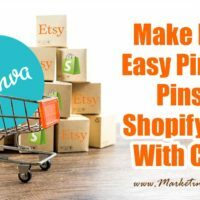 I wrote this post as a response to questions I got from my Ultimate Guide To Etsy Shipping post. If you haven’t read that and you are a beginner, I would start there first! 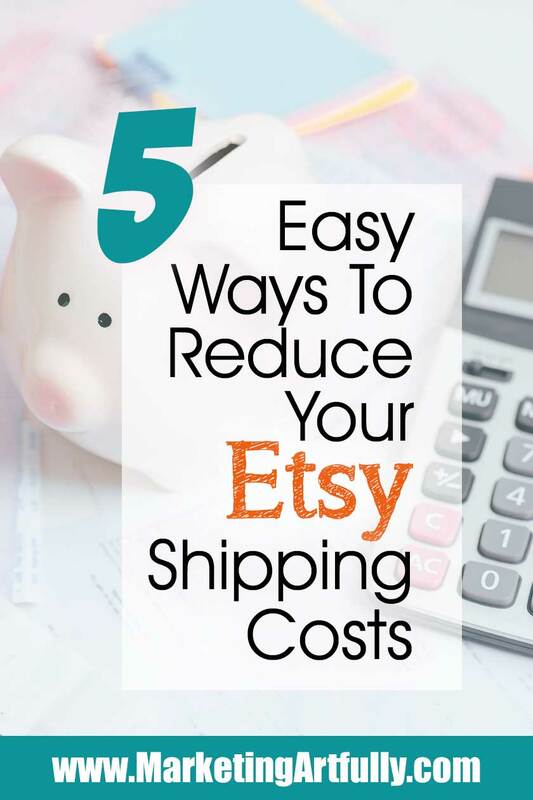 Why Do Shipping Costs Matter To Etsy Buyers and Sellers? Let’s just jump right in and talk about why shipping costs matter! If you are a seller whose costs are higher than average, then shoppers may abandon your product when they see the cost to ship it. Conversely, you may decide to stop selling something because it is prohibitively expensive to ship and reduces your profit margins! 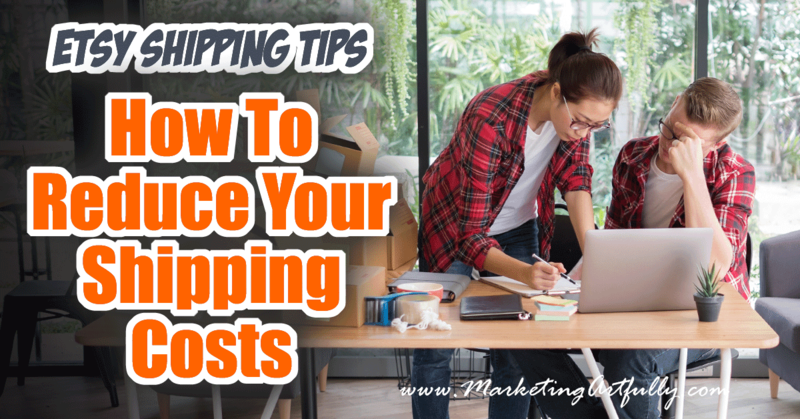 As a buyer, you may only buy if free shipping is offered, but at the very least want to make sure you aren’t getting ripped off by high shipping costs! So who should pay for shipping? In my store I let Etsy set the calculated price based on the weight of my items and the dimensions of the box. This makes sense because I sell one of a kind items that vary in size and weight. There is a cost for shipping and many sellers feel that this should be paid all, or in part, by the buyer. I tend to agree, especially on a site like Etsy where you are purchasing one-of-a-kind items that handmade or vintage. Amazon has tried to make free shipping a standard, reducing margins on their sellers, but margins are oftentimes so slim on handmade that eating the cost of shipping would be adding insult to injury. A segment of the population will not buy anything that doesn’t include free shipping (my mother-in-law). That said, shipping is not free and you will have to include the cost of it when calculating your profits. It will be important to judge what the sale price of your items are comparable to other sellers if you are trying to “hide” the cost of shipping by raising your prices. BONUS… all that said, Etsy has a filter in search for free shipping so you might get more viewers and sales if you offer free shipping. UPDATE… (January 2019) Etsy is now showing “free shipping” as top results in some searches in Canada. Could be a portent of things to come sitewide. BUMMER… if you have to issue a refund and your shipping is included, there is no really elegant way to refund your item minus shipping charges. Etsy charges final value fees on shipping costs now too. 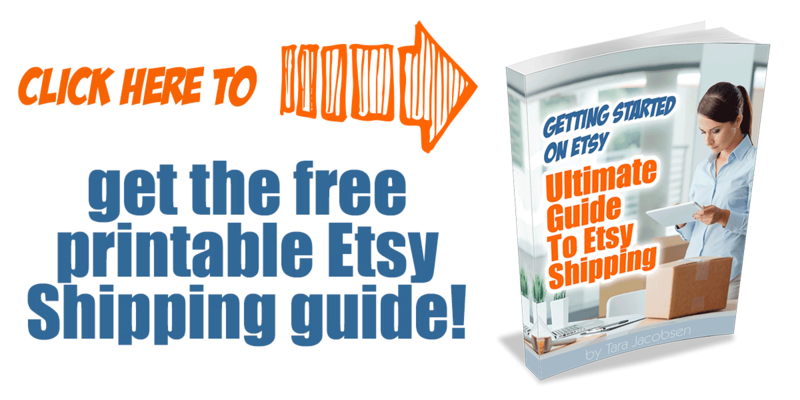 Additional Resource :: Should You Offer Free Shipping For Your Etsy Store? 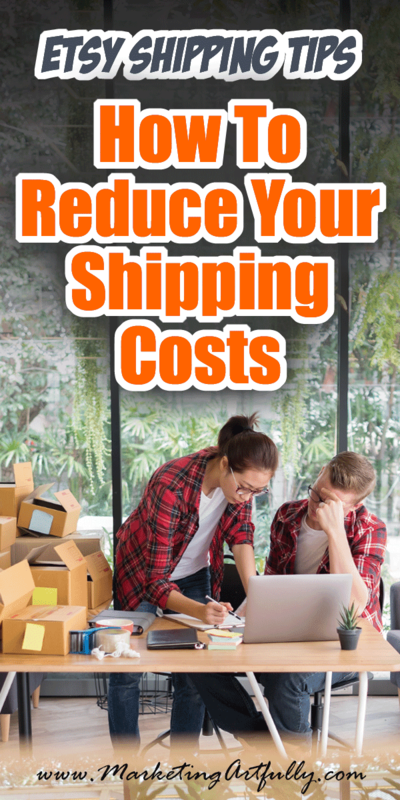 One thing that could work is to reduce your shipping costs a bit and pay part of them if you think that you fees are too high. 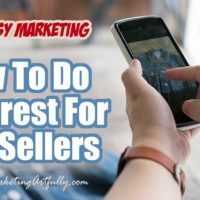 This could help get your prices in line, especially if you are an overseas seller. Let’s get this one out of the way right here at the start. I hear a lot of new sellers thinking that they need to ship everything Priority Mail to get tracking. 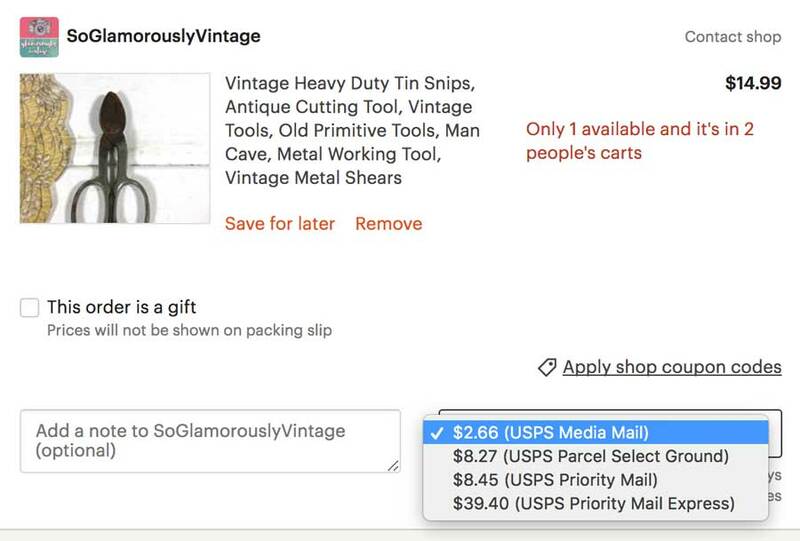 If you are using Etsy shipping labels, all of your packages are tracked, even if you are using first class or media mail. What Priority Mail does provide is free insurance against damage or loss. You can buy additional insurance when printing your labels if need be. Learn more about how to get free Priority mail boxes! One thing that you should avoid is mailing your items first class with stamps or through the post office. I totally understand that the cost of shipping through Etsy can seem prohibitive if you are just sending a paper label or some stickers that you could throw in an envelope for a few cents. But this way does not give you any tracking or protections because you can’t prove you mailed anything. Should it get lost, or the buyer leave you a bad review that they never got it, you have no way to prove that it shipped. If you are selling like sized and weight items, it is possible to calculate a standard shipping price. This can reduce costs for your buyer or yourself, but comes with it’s own problems. If it weighs more than a pound, shipping costs will vary by the distance it has to travel. Additionally, each time the post office raises its prices you will have to go in and change every listing. I am going to talk more about international shipping later, but just know that any mistakes you make in your efforts to reduce shipping costs will be compounded if you ship internationally! If you are looking for a cheaper way to ship, you might want to consider educating yourself on Parcel Select, Media Mail, Priority Mail padded envelopes, Regional Rates and Flat Rate shipping! Let’s start with why you should choose Parcel Select as one of the options for shipping when setting up your listings! 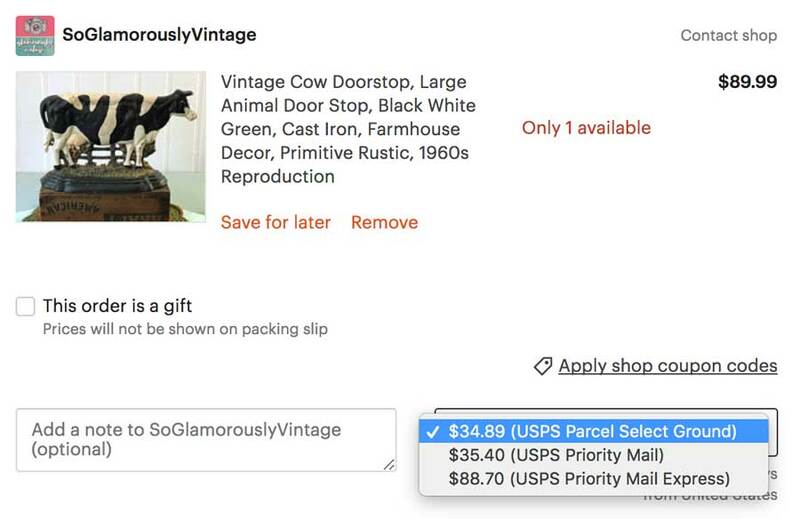 I have found that if I do not include Parcel Select as one of the options for shipping then Etsy tends to calculate the shipping cost at the highest cost of Priority that it can. This is what the options that your buyer gets when they choose shipping looks like. Media Mail gives your buyer a lower priced option for shipping books, recordings, scripts, music, functionally all things that we think of as “media”. You cannot use it to ship anything that has advertising in it. As you can see, the cost to ship via media mail is much less, but only available for those limited kinds of item. The two lowest cost Priority shipping rates are for the Small Flat Rate Box and the Padded Flat Rate Envelopes. If you can get your item to fit into a padded envelope you can save a lot of cost of your shipping! I often use a box inside of a padded envelope to protect delicate items. A 4″X4″X6″ fits easily and a a 9″X6″X3″ fits with just a wee bit of cutting down. If you have an item that will fit into a padded envelope you could set fixed price shipping for both US and International shipping, knowing that the price would be same each and every time. If you ship heavy items frequently then Flat Rate Shipping boxes are the way to go. They are free to order from the the USPS and will standardize the cost of sending packages. There are three sizes, Small, Medium and Large, increasing in price with the size selected. There is no easy way to pick Flat Rate Priority as an option for Etsy shipping so if you know you are going to use them, you might want to choose fixed price shipping and then just put the price of the fixed rate box. Note: When I started I thought that the only kind of Priority shipping was flat rate. Come to find out you can use any box to ship priority so don’t limit yourself to just these flat rate boxes if you can lower shipping costs by using your own! Last but not least for reducing your shipping costs on heavier items is to use Regional A and Regional B shipping boxes. 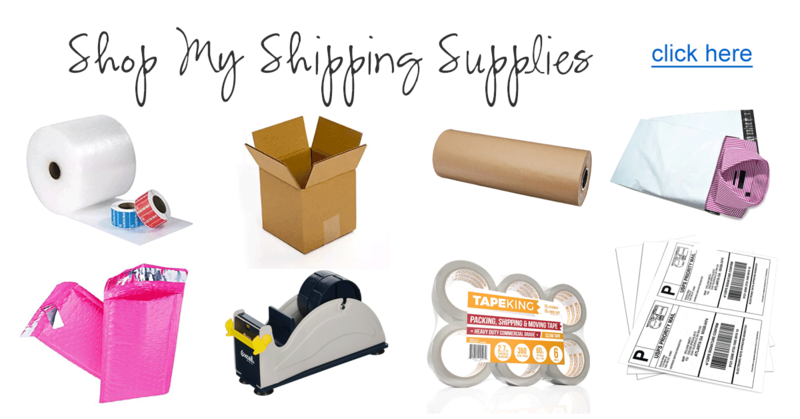 These are stupendous for shipping heavy items to buyers that live close to your home! For example, I had a super heavy item that fit into a Regional A box that was shipping inside my state (Florida) that would normally cost about $18 to ship Priority, but in the Regional box was less than $12. 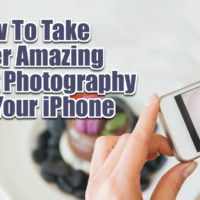 Figuring these out is always a wee bit hard, but totally worth your time. If you have a small to medium sized item that can fit into one of those boxes AND you are not shipping it across the country, it is definitely worth checking to see if you can lower the price to ship! One last thing, actually the reason that I wrote this whole long post for you so that maybe you would listen to this part too! Please stop worrying so much about the cost of shipping. Some of the items I sell are going overseas and the buyer pays more for shipping than the item costs. I have talked to some sellers who are hesitant to even open their stores for fear that the shipping will be so high that no one will buy their items. If you have an amazing product that is unique and of a good quality then shipping costs become less of an issue! Don’t rely on your concept of what costs “too much” to ship. Most Etsy sellers I know are a frugal bunch and would be put off by paying a high shipping charge but if you target high priced buyer, you will be fine in the long run!